Mystic Shores at Canyon Lake is the largest community on Canyon Lake. 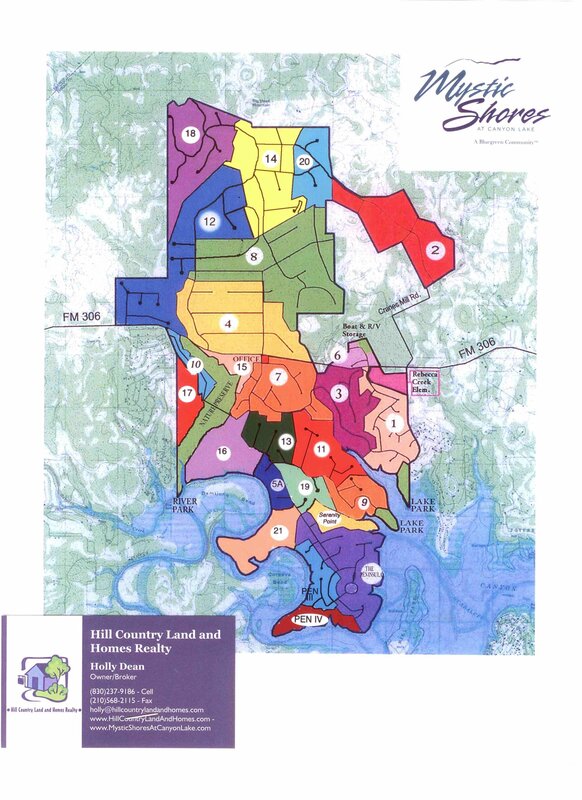 With over 7000 acres and over 2200 home sites, there is something for everyone in here in Mystic Shores at Canyon Lake. Located 8 miles east of Highway 281 and 25 miles west of IH35, this community is ideal for a main homestead, a getaway, or your retirement home. Located on Canyon Lake AND the Guadalupe River Mystic Shores is the place to be. Swim in the pool complex on Canyon Lake or fish in the nature preserve on the Guadalupe River. 5 parks and pools, an elementary school and grocery store on site there is no need to leave this gorgeous community. Park your boat or RV gated Property Owners storage and leave your worries behind. Mystic Shores at Canyon Lake offers 1-20 acre home sites ranging from the $35k-$500k offering Canyon Lake Waterfronts, Guadalupe River Waterfront, Water views, Hill Country Views and Larger Acreage. Homes start around $350k all the way up to $2 million. If you are looking for Canyon Lake Waterfront property for sale, look no further. Minimum square footage starts at 1800 and up to 2700-3000 for gated.